The cellar Colle Mora, born from the desire to keep on a family tradition. The Family Tabarrini Raffaele, began producing wine in the 50 ‘with craftsmanship and passion. 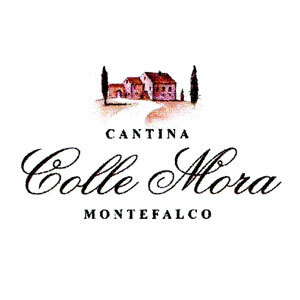 The love of wine and his work pushes Simone Tabarrini, winemaker of Montefalco, to keep alive the tradition of the past also producing wine in the bottle, creating the label Colle Mora. The excellent vineyards located in the best areas of the territory and the family collaboration, contributing to the achievement of the best quality. The grapes are collected by hand, the resulting wine is aged in small French oak barrels and bottled once it reaches full maturity. We do not mechanical filtration, therefore, any sediment in the bottle are considered to be totally natural, it is a handmade product.